If you have never seen 1985’s “Brewster’s Millions,” I wouldn’t recommend you jump to put it at the top of your Netflix queue. It’s not a great movie. It’s not even one of the better comedies of the 1980s, and it certainly does not constitute the best that Richard Pryor and John Candy had to contribute to the canon of film comedy. But it is culturally significant in that it reflects certain elements of the 1980s that, much like in another film that I analyzed in this space, are just as relevant to our socio-political environment today as they were then. It is a ridiculous, contrived concept, but as the movie rolls along and Monty starts spending dough at a breakneck pace, a satire of 1980s culture emerges. Two years prior to the release of “Wall Street”, which defined the capitalistic ethos of the decade, “Brewster’s Millions” used a silly plot device to isolate capitalism’s logical, absurdist endpoint – that a person can spend more money than seems humanly possible but still accrue nothing of value. While the screenwriters here equate “value” with “monetary assets,” the underlying message is that making and spending money cannot get you the things that matter in life. Money can’t buy you happiness. Except that it does. The filmmakers behind “Brewster’s Millions” are actually trying to have it both ways. When push comes to shove, they are far more interested in pleasing their audience instead of challenging them. The story can be viewed as socio-economic satire, but for most viewers, it functions as capitalistic wish fulfillment. When we watch the movie, we live vicariously through its lead character, who seems to have a pretty good time spending all that money. He throws lavish parties, hires a fleet of limousines for his personal travel, and rents the New York Yankees to play against his minor-league team. Oh, and he wins the challenge – inheriting $300 million – and even gets the girl, the thing – we can only assume, since the filmmakers never go to the trouble of convincing us – that matters most. So unfortunately, “Brewster’s Millions” is not some cautionary tale of unfettered capitalism, in which a character gets rich, enjoys all the perks of wealth, and then sees the downsides. That would be “Wall Street.” “Brewster’s Millions,” on the other hand, simultaneously derides and fetishizes the pursuit of wealth at all costs, making it a perfect fit for today’s economic climate, in which the 99% is supremely pissed off at the realization that the odds are stacked against them, but they still line up to watch “American Idol” and “Entourage,” which encourage them to dream of becoming the 1%. But there is a little more to the story than that. Halfway through the film, Brewster runs into some trouble. His friends, concerned that he seems to be blowing through his fortune at an alarming rate, invest some money for him and it pays off, leaving him right back where he started – with $30 million to spend without accruing any assets – but with far less time to do it. This is when Brewster comes up with the idea that drives the second half of the film. He taps into the most wasteful, least useful expenditure he can find, one that millions of Americans throw their money away on every year. Or at least every four years. We may think that dissatisfaction with government is at an all-time high, and the approval ratings of Congress certainly bear that theory out, but “Brewster’s Millions” is a reminder that regardless of the political and economic climate, people are always angry at the government. Even in 1985, with the economy clearly on the upswing and President Reagan having just declared “Morning in America,” Monty Brewster built an entire campaign on the prevailing notion that politicians are slime. Something tells me that message might play well today. So obviously, “Brewster’s Millions” is ripe for a remake. The only problem is that $30 million is chump change these days, so we would probably have to change things. 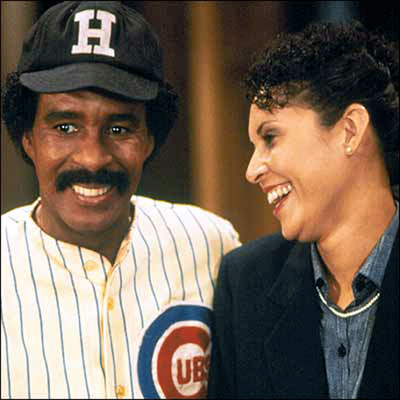 Monty Brewster would have to spend, let’s say, $300 million in order to win $3 billion. “Brewster’s Billions” has a better ring to it, anyway. I actually do want to put Brewster’s Millions toward the top of my queue after reading your blog about it. So interesting to consider it in the context of the mid 1980’s. Who do you see playing Monty Brewster in Brewster’s Billions? It sounds like they are thinking of using McBride because he played a baseball pitcher in “Eastbound & Down,” an HBO series. He is a funny guy, so I suppose it will work. Interestingly, Jody Hill, who is attached direct and often works with McBride, usually produces some pretty dark material. It will be interesting to see where this goes. of all the movies to remake i really think this one could be passed on.it has been made into fils ten times although 3 of them in India and one is a lost film.